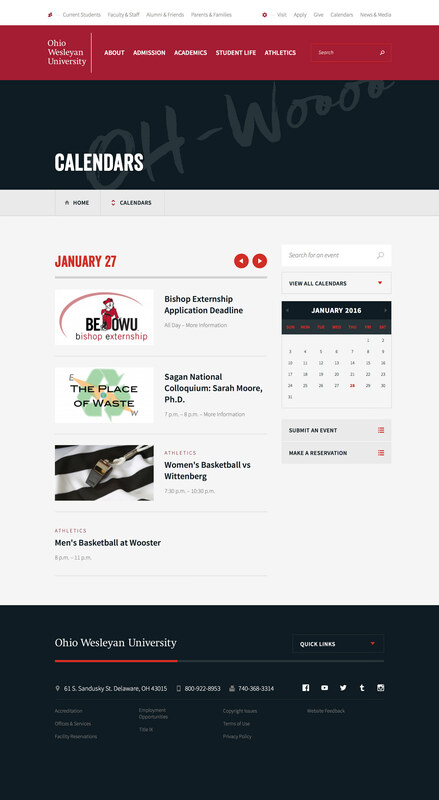 Ohio Wesleyan is a small, private liberal arts college in Delaware, Ohio. 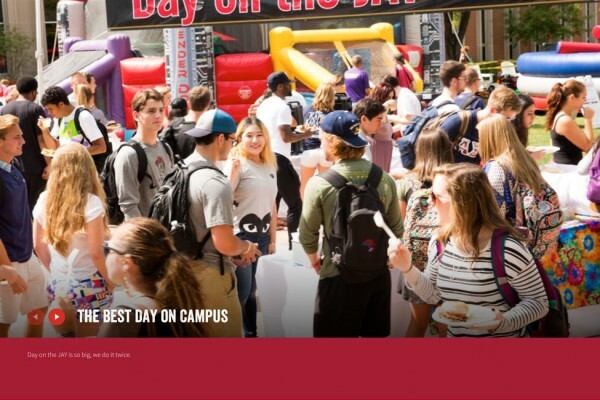 Students at OWU can't be pigeonholed; they are eclectic and always hungry for more knowledge, more experiences and more opportunities. 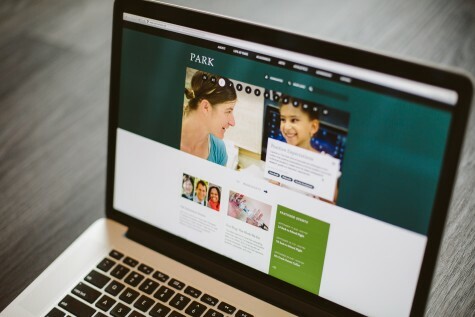 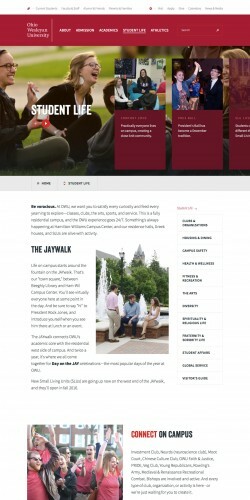 Their new website captures the buzz and pretension-free environment that inspires the OWU community. 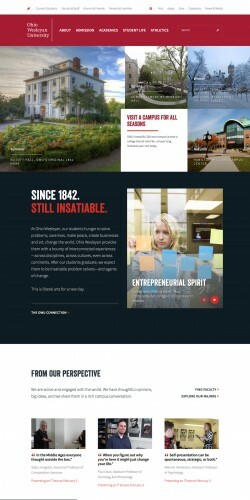 OWU needed to do a better job expressing the congeniality that characterizes the campus experience. 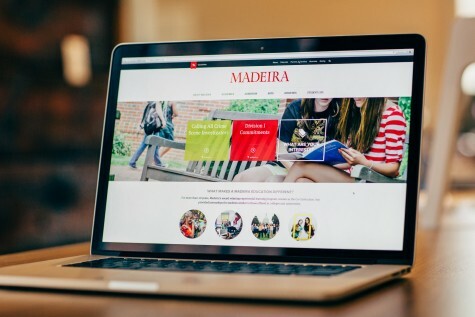 Taking center stage on the new homepage are the bonds between students, alumni and professors as well as the myriad opportunities for research, customized learning programs and grants fostered by those relationships. 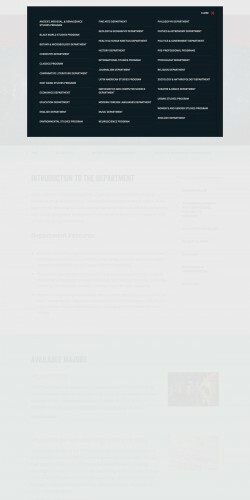 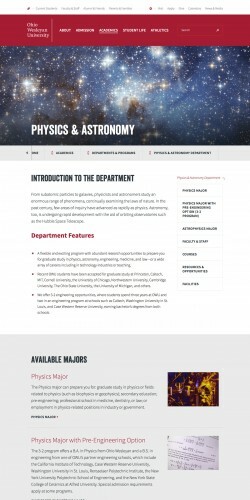 OWU has long been offering a more rigorous academic experience than their reputation gave them credit for. 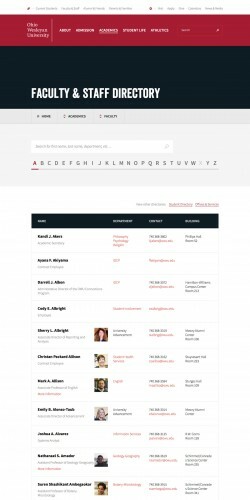 Our flexible design system offers tools for telling the amazing stories that happen in and out of OWU's classrooms. 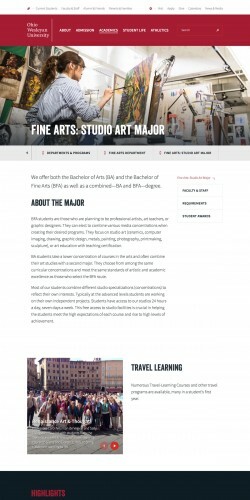 From the access to state-of-the-art facilities to the inspiring success of the university's alums, the excellence of the OWU education is woven throughout the fabric of the site. 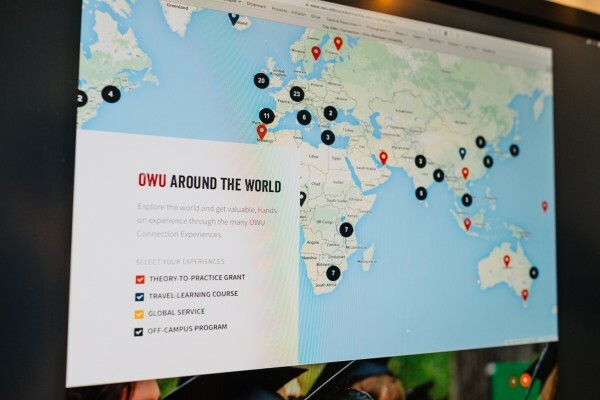 OWU had put together a set of programs aimed at making meaningful connections between disparate areas of study and the global community. 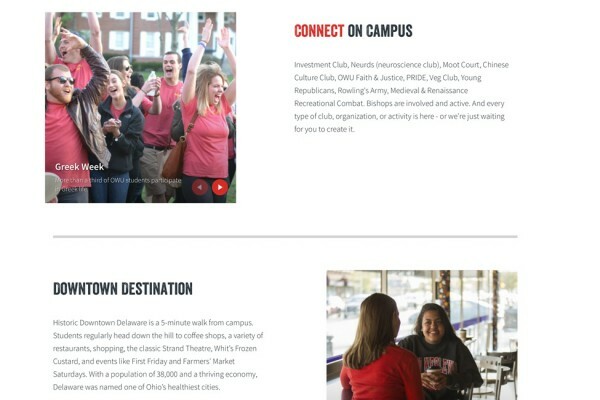 This initiative, titled the OWU Connection, was unfortunately widely misunderstood, even by students and faculty. 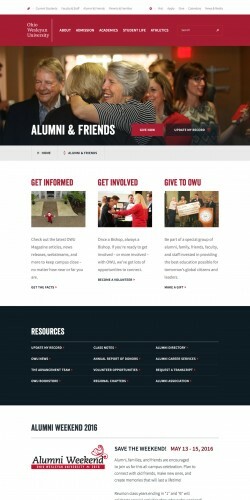 A vibrant new page for the OWU Connection now highlights the academic offerings, success stories, and global reach that set apart this central part of the academic experience at OWU. 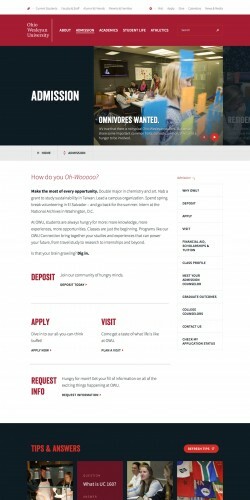 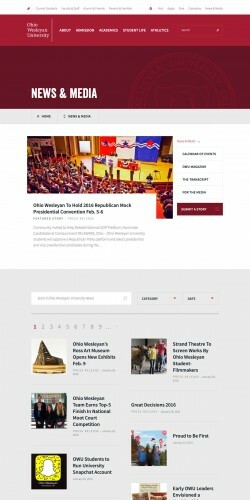 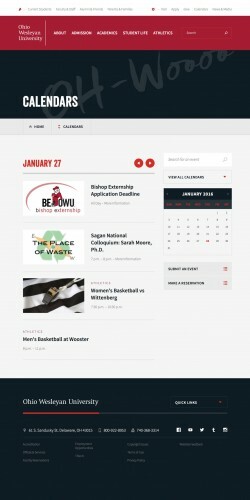 At the core of Ohio Wesleyan’s new website is BigTree CMS. 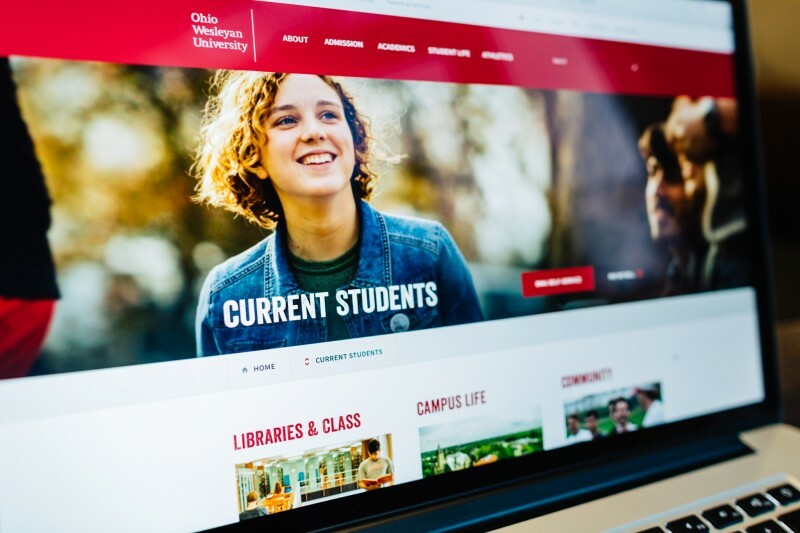 Not only does BigTree enable easier content management, but it supports a rich and modular design system granting OWU a level of flexibility to build new pages with expressive components.